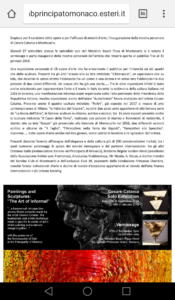 Hey Buddy!, I found this information for you: "Cesare Catania with the italian ambassador Cristiano Gallo during his contemporary art exhibition in Monaco – Sept 2018 – 5". 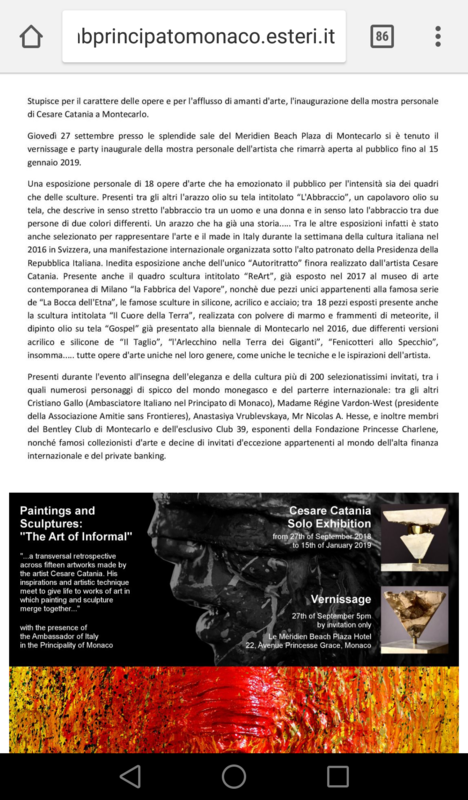 Here is the website link: https://cesarecatania.eu/press-international/cesare-catania-with-the-italian-ambassador-cristiano-gallo-during-his-contemporary-art-exhibition-in-monaco-sept-2018-5/. Thank you.